“I have attached some pictures of my bar. I built a 17′ L shaped keg bar with a back bar made out of a 23 cf freezer converted to a keg box on my deck. 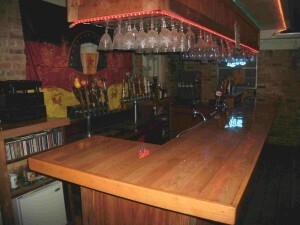 The front bar has 32 cf of cold storage for kegs and a cold plate for the bar guns.